Melt a small pieces ( around 10 g) butter in the pan by medium heat. Then add in 2 tsp honey. Mix them well. 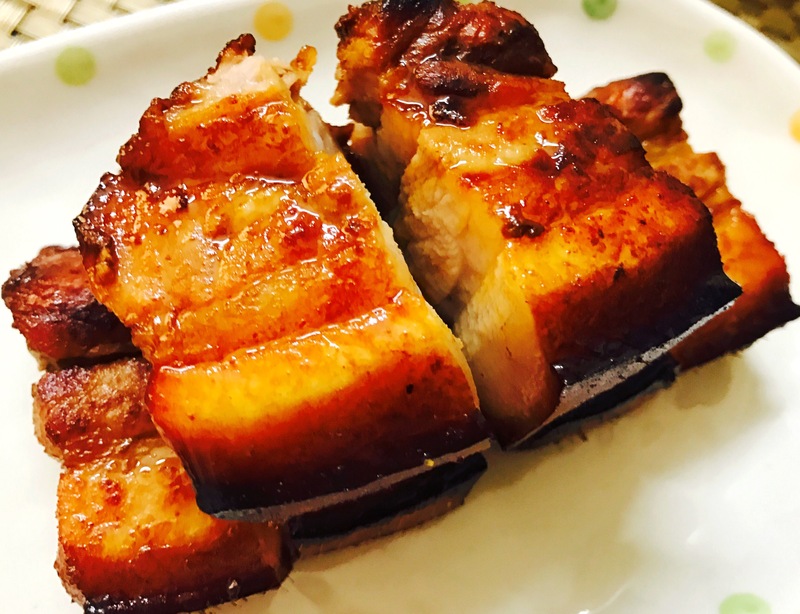 Place a strip of pork belly in the pan. Fry two sides till golden brown. Turn off the stove. Pour butter & honey into baking pan. Then put pork belly into baking pan too. Sprinkle some salt over pork belly’s skin. Put baking pan into oven. Roast for around 40 mins. Even the skin part tastes very chewy. Meat is very tender. 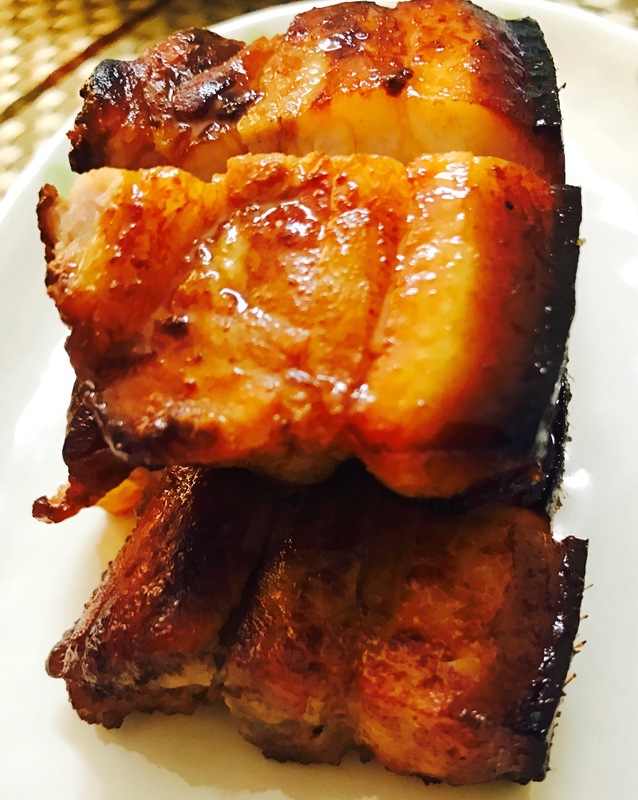 The Pork Belly looks so tasty and mouthwatering!